Intermediate or 10+2 or Equivalent with 3 year Diploma Course in Nursing and Midwifery or B.Sc. in Nursing. Registration with Nursing Council with 5 years of relevant experience in recognized hospitals. Age: Upper Age limit for posts under Sl.No. 1 & 2 is 40, for Sl. No. 3 is 32. For SC/ST and OBC candidates 5 years and 3 years age relaxation respectively is admissible as per Central Government Rules). 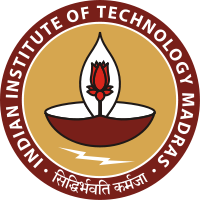 Application form and instructions can be downloaded from the website http://www.iitm.ac.in under the link Notices / Recruitment or obtained from the Registrar, IIT Madras, Chennai – 600 036 by sending a requisition letter along with self addressed stamped Rs.10/- envelope. The cover must be super-scribed “Requisition for application for the post of ______________________”.